I've thought a little and I think the talking about other sites (related to typing) should be posted as resources in this topic.. to keep the order and logic of the posts ) Otherwise it's pretty hard to search for them when they are all over the place..
Russian is very hard to learn. English language is much easier to learn. Don't know if you guys now about this one... It's pretty popular although... it's the Typing World Championship Unfortunately I didn't see my country on the list... and to list it I would have to speak with my college administation.. and they would have to supervise the typing when the contests take place (because it takes place on-line too).. you know.. (to eliminate cheating wich could be done by some people with some programming skills) The sad thing is that there aren't too much people interested in this in my city) I personally know just 1 ) and he's not even in my college.. That's so sad... Anyway I've got along with the idea some months ago when I first hear of it. It's the idea of our Dron - 25 July to celebrate a Touch Typing Day - День Слепой Машинописи. Besides, it would be as to honour those people of earlier times, their brilliant achievements. Enthusiasm and professionalism of a highest degree, wasn't it?.. I thought you may wish - or may not , that's all to your liking, isn't it, - to tell to other people somewhere where you have announced the Urikor championship earlier. The main thing is that the idea seemed good to you. Unfortunately it is very small and it needs additional editing. I've added there few words about July, 25 and Frank McGurrin - the inventor of touch typing. 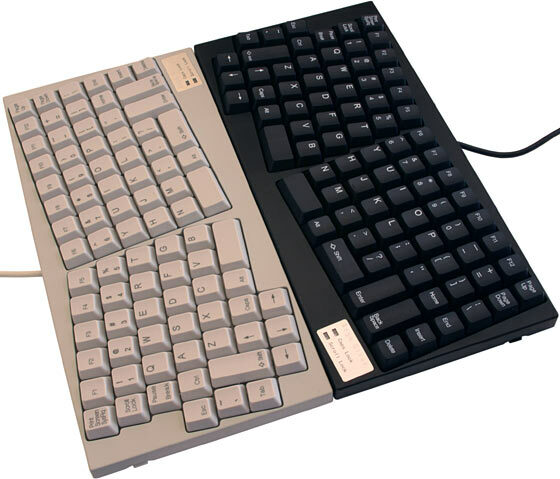 The site about the history of the keyboard. There are many interesting facts.